Argentine legend Diego Maradona has been hired to coach Mexican second-division football club Dorados, the team announced Thursday, the retired great’s latest foray into managing. Maradona’s colorful career has included stints coaching the Argentine national team and a series of clubs around the world, and he had just started a job as president of Belarus side Dinamo Brest in July. But after parting ways with coach Francisco Ramirez Gamez, Dorados managed to convince Maradona to sign up for a spell in Mexico. “Dorados of Sinaloa is pleased to announce Diego Armando Maradona is the new manager of the ‘Big Fish,'” the club said in a statement. “Considered by many to be the best footballer of all time, Diego was known in his playing career for leading teams with guts and fight to carry them to successes that few believed possible,” it said. The club wants Maradona, 57, to stay for the remainder of the 2018 season and all of next season, Dorados president Jorgealberto Hank Inzunza told ESPN. “In my conversations with him he’s been very excited to come coach here. Honestly, it was easier to convince him than I thought,” he said. 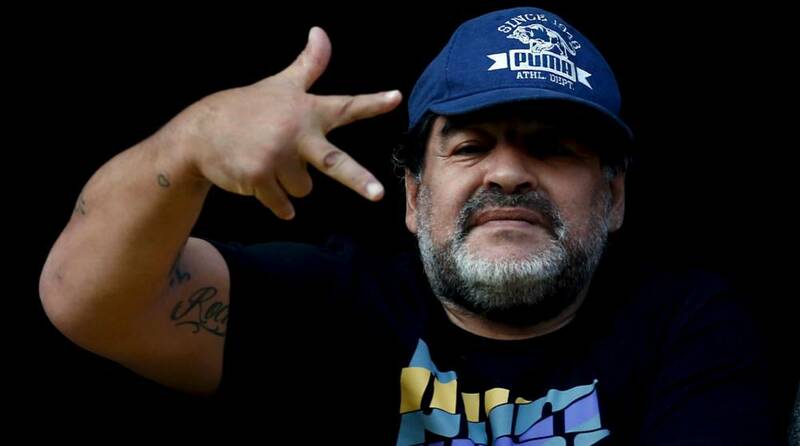 The club first confirmed rumors of Maradona’s hiring with a brief video posted online. “Diego, welcome to the Big Fish!” said a message accompanying the video. Dorados are currently in 13th place in their 15-team league. Located on Mexico’s Pacific coast, Sinaloa is home to several famous beach resorts and the drug cartel of the same name, founded by jailed kingpin Joaquin “El Chapo” Guzman. Maradona himself is no stranger to drugs. He was hit with two doping bans as a player, and has publicly battled with drug addiction, alcoholism and obesity. Mexico was the scene of his greatest triumph: leading Argentina to the 1986 World Cup title. Two moments during that tournament neatly summed up what made him both controversial and great. The first was his infamous “hand of God” goal in Argentina’s quarter-final against England, in which he punched the ball into the net for an ill-gotten point. But Maradona has sometimes had a touchy relationship with Mexico. He infuriated Mexicans in June when he said the country did not deserve to host the 2026 World Cup, which it was awarded along with the United States and Canada.